Thread: Thinking of making the 88 the daily business car again. 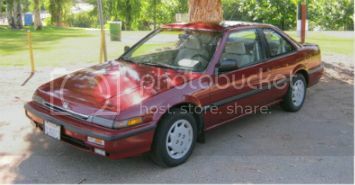 Re: Thinking of making the 88 the daily business car again. Find some cheap rims to fit Firestone Indy 500's. Amazing and cheap tires. My God ! Those are at least $120 a piece ! Only reason is because the SCCA and autocross guys use them so they jack the price up knowing they can get away with it. They are awesome tires though so worth the price imo. I was thinking of getting some and keeping the steelies but then I found a 4 piston caliper kit and they require a 15" wheel minimum. I daily drive my oldies in the spring thru fall or early winter if there is a warm spell just because I live where winters are nasty and salt is used in insane amounts especially this winter. And I love being connected to the car. My winter daily is a 6th gen Accord and it's heading slowly to the classic car world being 20 years old (I know, it doesn't even feel like it, growing up I remember when these were new or at least a few years old and I did like their looks) but compared to my oldies it's not that fun. And the electronics when starting it up tells the car to idle at start up in -20 temps at 2,000 rpm but with my oldies I have to keep them alive myself, listening for the fuel pump engaging, pumping on the carb'd one in cycles attempting to start. And all these new cars I just hate them. I can't stand them. They are making people disconnected from the road and the car and make driving less pleasurable. They are super slow in traffic, holding us all up that want to GO because the driver is too distracted with the electronic gadgets, while I would zip by in my classy 2g or 3g. I agree, the 3g Accord handles better than the previous or newer Accords with the exception of the CB7 Accord. The 3g is the Accord equivalent to the 4g Civic. I have oficially decided to make the 3gee the daily driver all year around. Haven't gotten everything sorted out but it will be this spring and summer. 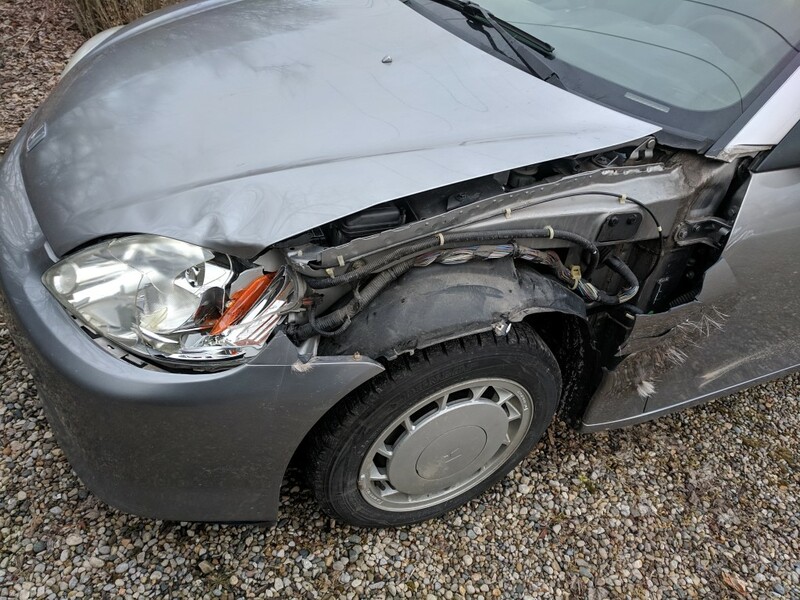 In my daily 2000 Insight I hit a deer on the way to work last week, its out of commission right now so the 3gee was forced into daily mode a little prematurely. Luckily its been warm enough not to need heat (dont have the heater controls installed yet) and there probably wont be another good snow since i have summer tires on it now. Its been so nice driving it and parking it in the garage. Funny thing is when I drive this I always get someone trying to race me just about everyday, and i had the police on the highway follow me for a while. That never happened with the Insight. 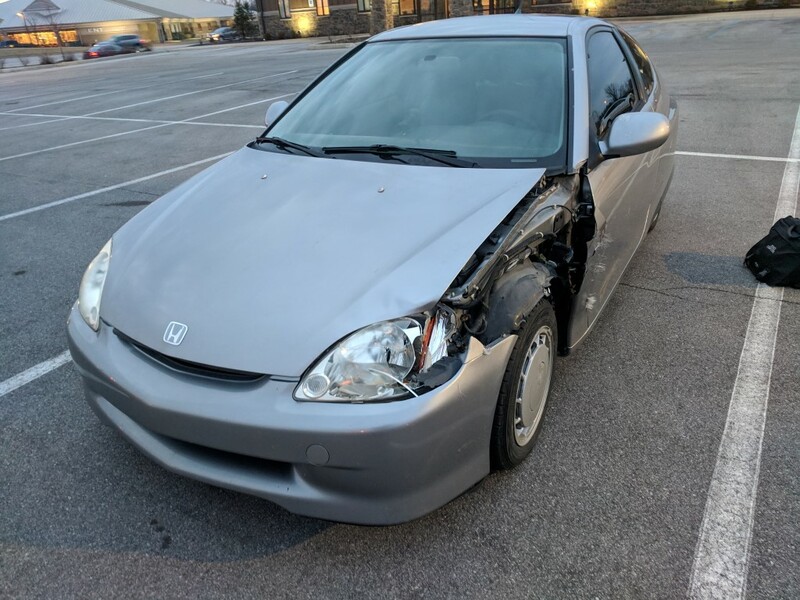 I would drive right past sitting police in the Insight going 60 in a 30 and they would never care, its as if that thing was impervious to radar since it was 100% aluminum. Here are some pictures of the insight. Hit it going about 45mph and it flew up in the air. Never saw it come back down. The car does still work fine but I'm not driving it until its fixed since there are so many loose parts that it might make it worse driving it. Seems to have fared pretty well really. Have fun in the 3g and don't get too many tickets. Place racing going out of business....?!! Making a business for car parts online!! !